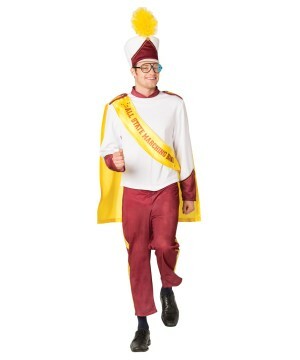 To be in a marching band is to know discipline and how to follow orders... or maybe you just need a easy A in school. Regardless, to hear those trumpets and drums being played brings back memories of good times. 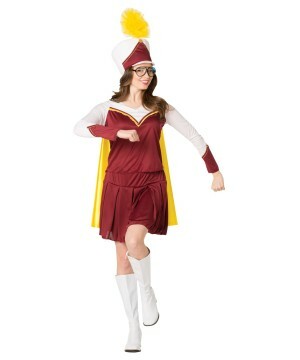 This includes a maroon/white marching costume, yellow cape, and headgear with a feather on top. Available in one size fits most up to size 12. Marching has been a part of school, and sound of drums and trumpets still make us nostalgic. 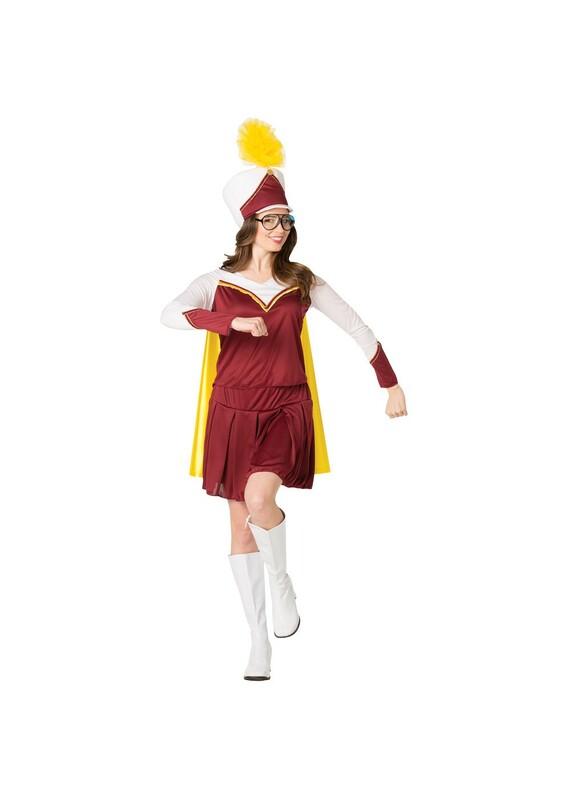 Review(s) for " Womens Marching Band Costume"